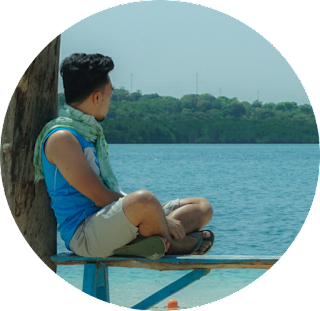 Taal, Batangas is traditionally known for crafting balisong (butterfly knife). 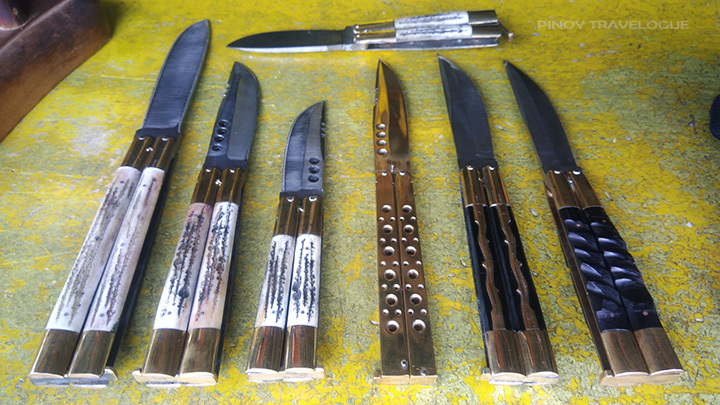 History recounts that a certain Perfecto de Leon started balisong making in the province in early 1900s until the industry boomed — the town produced export-grade knives — and Taal became known as the Balisong Capital of the Philippines. I've seen a lot of classic Filipino action films since I was a kid, because FPJ fanaticism runs in the family. In those action-packed movies, balisong steals the spotlight whenever it's present in scenes of jail chaos, street gang encounters, or goon-versus-lead fistfights — those actors flipping the knife's blade in and out as if it dances on its own between the fingers of its holder. I'm always amazed by that prowess. So with a certain of degree enthusiasm, I asked some things about the well-known knife when I dropped by a dealer in Batangas. I even brought one home. The word "balisong" was derived from Tagalog words "baling sungay" which means broken horn when translated; bali means to break and song is from sungay which means horn of an animal. 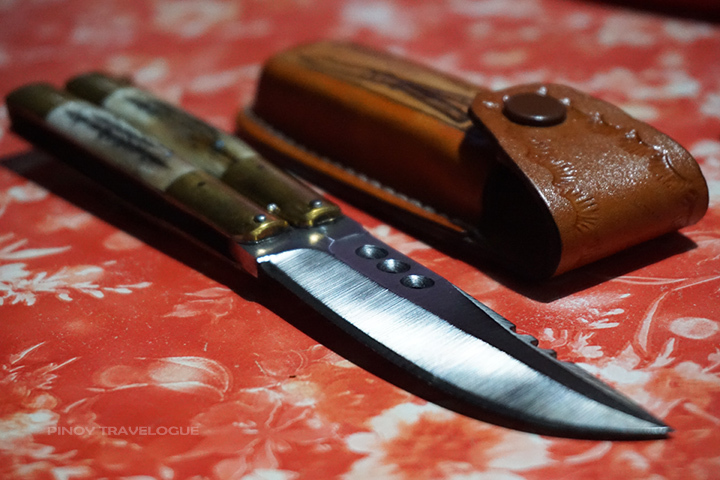 I bought mine in Baranggay Balisong, the eponymous barrio in Taal where roadside shops selling the knife and other bladed tools are ubiquitous. However, no one could still say whether the dagger was named after the barrio, or the barrio got its name from it. Price of balisong differ based on size and materials used to make them. 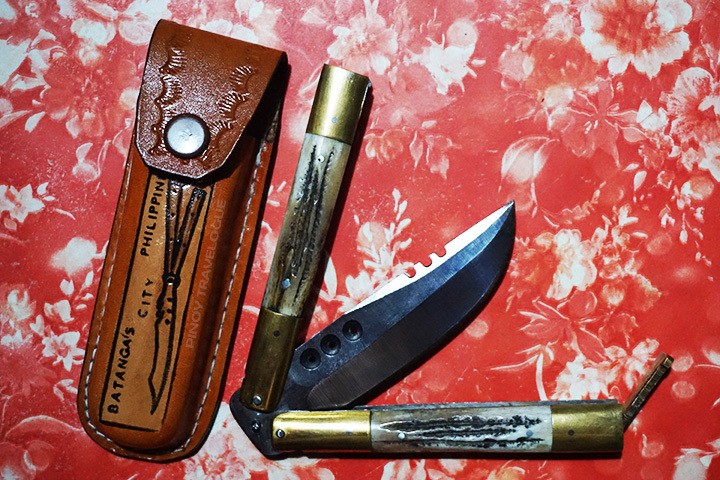 The handle of the first Batangas knives is crafted either from a horse's bone or water buffalo's horn while the blade is made from recycled automotive bearing steels, thus it rusts and is cheaper than its stainless steel counterpart. Brass makes up the knife's latch. Blades of modern knives are made of stainless steel while the materials used for the handles varies — some are carved out from a stag's horn, others are made from fiber glass, wood, and some are made entirely of brass. There's a widely known approach in testing the blade's quality — holding balisong in reverse grip and hacking it forcefully into a one-peso coin. They say if the blade tip doesn't break and delivers a hole on the coin, you have a good piece of Batangas knife in your hand. The traditional and still the best-selling type of balisong is called veintinueve (Spanish word for twenty-nine). Legend has it that the term came from a story of a Batangueño who trampled 29 assailants alone using balisong as his weapon; others say it denotes the dagger's overall length of 29 centimeters when opened. Balisong comes in handier variations such as veinticuatro (24 c.m.) and de diez (10 c.m.). 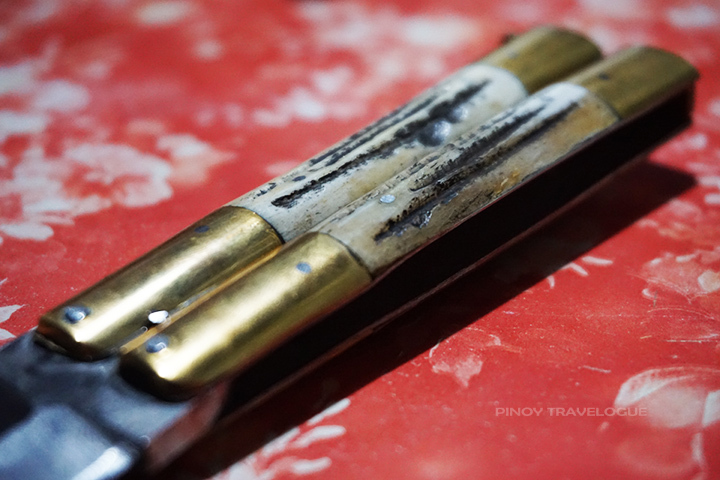 Unlike Swiss army knives, possessing balisong in the Philippines — at least in the streets of Manila — is completely forbidden unless carried with proper permit. 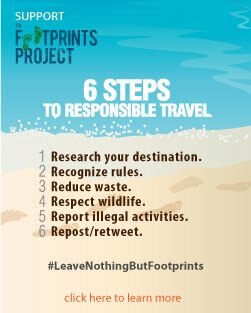 There's a "rule of thumb" in the country that if a pocket knife's blade does not exceed one's palm and it cannot be opened with one hand alone, the knife is considered a utility not a weapon and it might be allowed. So if you want to bring one with you, get yourself a cutter disguised as a pen. Check those roadside stores when you pass by the highways of Taal. You'll find other useful products like kitchen knife, bolo, pruning shears and other gardening tools. You might also chance upon artisans smithing blades at the moment. Get one, though prohibited, because balisong is a good piece of utility at home and a great keepsake of a world-class Batangueño tradition. * Balisong prices range from PHP 200 - 1,300. 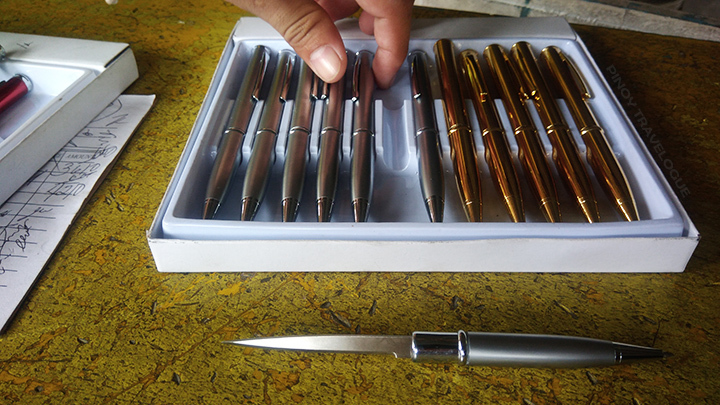 The traditional veintinueve costs around PHP 600 - 800; dagger pens are around PHP 70 each. I got my de diez for PHP 200 and its leather sheath for PHP 80. This is very excellent and super flexible knife. I like it. Sir anong name ng store kau nakabili ng de diez? Hi Anon. Nakalimutan ko na 'yung pangalan e. Actually hindi ko nga yata na-notice na may pangalan yung store, but it's along the highway. Katabi ng iba pang tindahan.